grandma's cookie jar: Giveaway Tomorrow! 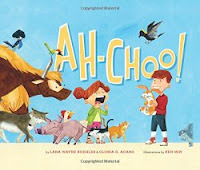 Yes, tomorrow I'm giving away the very cute book, Ah-Choo!! You have time to enter the drawing! Check this link for my full review and complete instructions for entering the giveaway!